There we were: a writer, a sound artist and tens of thousands of dollars worth of sound equipment, gently being pulled out to sea by some invisible current. As my friend Keira and I pretended not to panic that our little eco-friendly donut boat was being sucked out of the mangroves, one thing we could both agree on was to be grateful for the forgiving winter sun. Now that the season of skin-scorching is finally over, I find myself diversifying my outdoor engagement with Abu Dhabi. 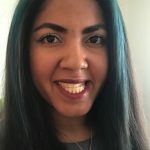 Over the summer, I had forgotten my running paths and my cycling routes; I even avoided walking outside. But finally, the season of sun-aversion is over. I’ve reunited with my beloved running routes (Hello again, Corniche! I’ve missed you). I occasionally join my friend’s Saadiyat cycling group on Friday mornings and finally, I park my car a little farther so I can walk, or sometimes I don’t drive altogether. Thanks to the adventure with my friend Keira, my new favorite place to enjoy the weather is the mangroves. As for what happened to the story with the writer, the sound artist and the expensive equipment, after a refreshing (though unexpected) swim, we turned out just fine. Before the panic, our time in the mangroves was lovely. It had been some years since I had been in them and I’d forgotten how peaceful they could be. Well, apart from the occasional disruption of a dragon boat team zooming by. 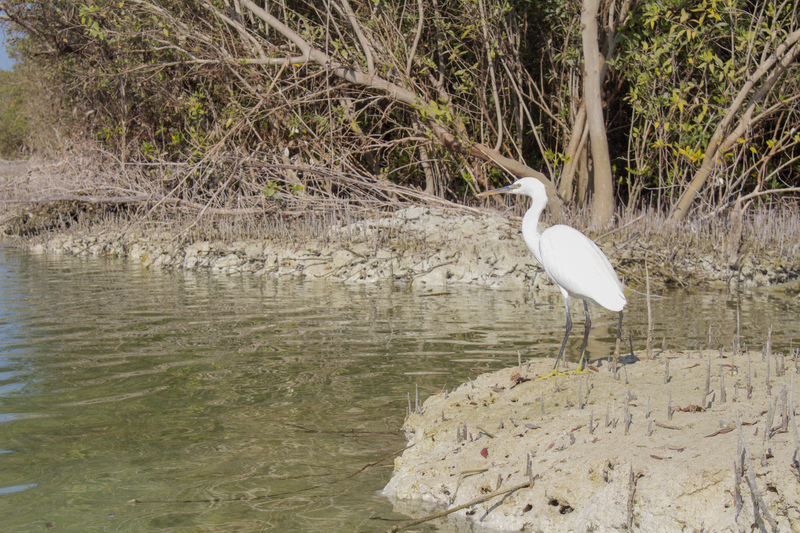 Keira and I sat in total silence for about an hour, so she could record the natural sounds of the mangroves. We floated along, watching the birds return to their home in the dense greenery. The dragon boaters and idle kayakers also stopped, all of us caught in the view of the sunset like creatures caught in amber. Some of the kayakers had cameras, and some other folks in donut boats had binoculars. Birdwatching is common here. The mangroves are a treasure trove of activity. 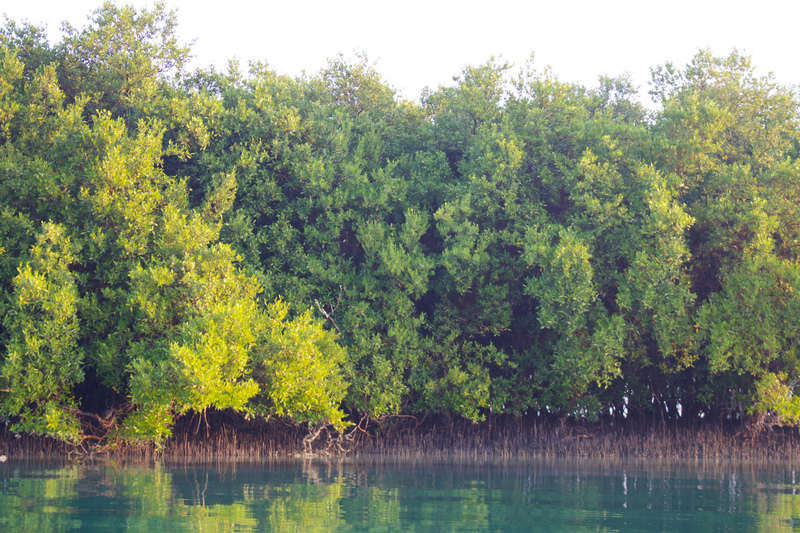 There are so many ways to enjoy the mangroves, and all of those ways appreciate the outdoors. 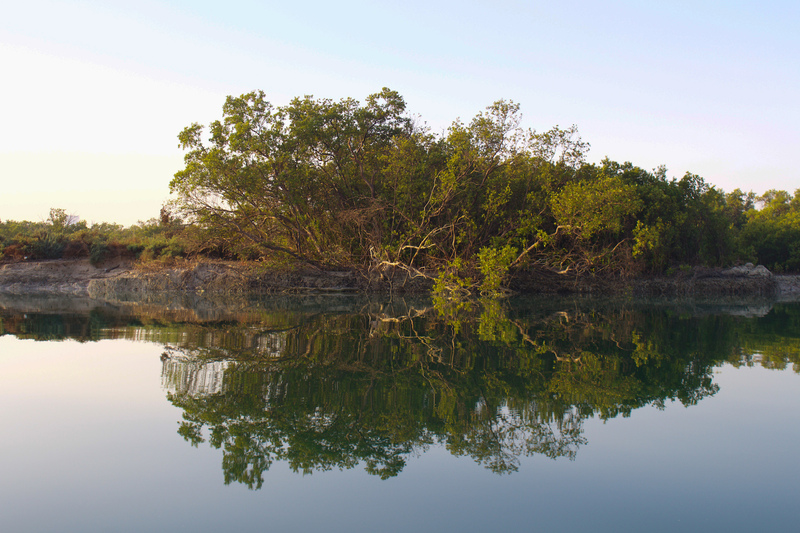 If you like water sports, head to the eastern mangroves and rent a kayak. You can rent a kayak for 2.5 hours for under Dh150 — I spend more ordering take out each week. For the fitness fanatics, kayaking is a really fun way to get your cardio workout and also build strength in every major muscle group. 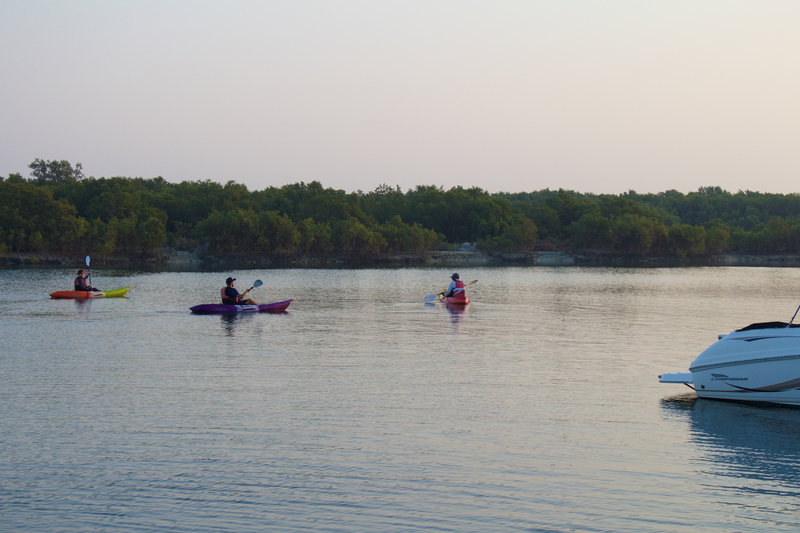 For those more interested in leisurely pursuits, rent a kayak and just enjoy being surrounded by nature. There are many studies that show that being in nature improves our overall wellness and mental wellbeing. You might not need to record sound for an art project, but I challenge you to sit in silence for an hour anyway. You’ll be surprised at how your relationship with the environment changes. Not a fan of water? That’s fine, I’m not always in the mood to get wet either. Rent a donut boat, even if you’ve never seen one before I promise you’ll recognize its rather funny bulbous shape immediately. There’s so much you can do on the water. Bird watch, photograph, write, meditate — the possibilities feel endless. As a bonus, if you go in the evening you can see light blue jellyfish floating in the water. And if you’re lucky and still enough, you’ll hear the little bloops and see the fast shadows of flying fish. 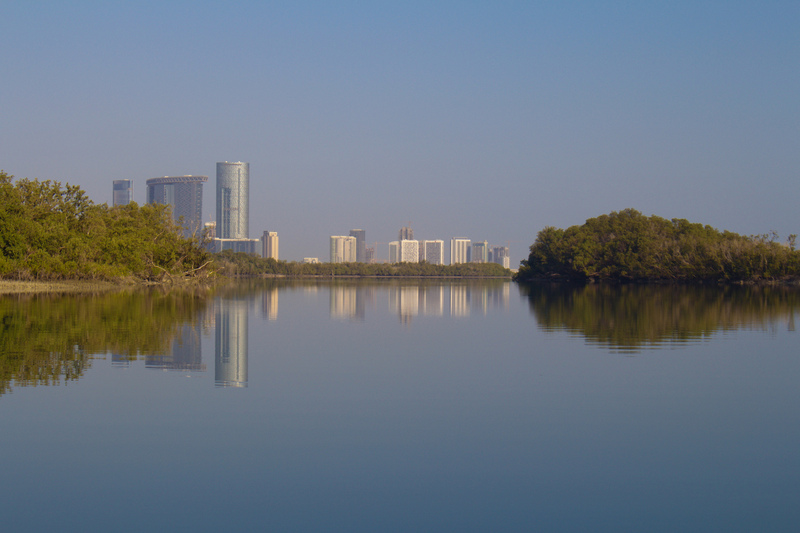 If the water really isn’t for you, there is a nice walkway alongside the channels where you can run, cycle, walk or just observe the mangroves from a close distance. The mangroves have something for everyone. Don’t let the winter pass you by.